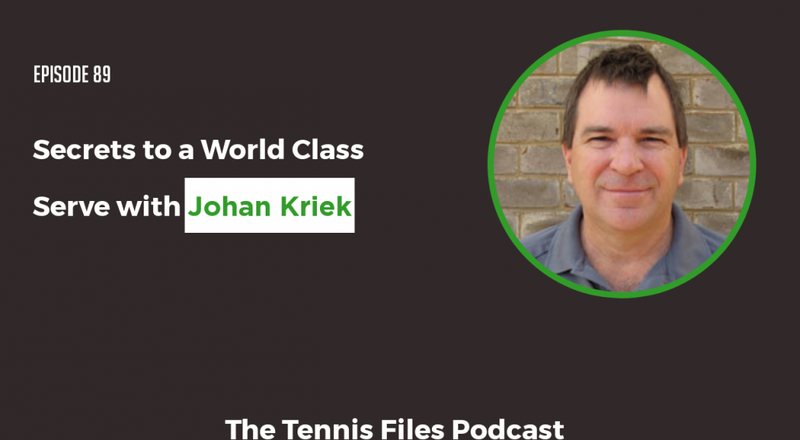 On Episode 89 of The Tennis Files Podcast, I spoke with Johan Kriek about his epic battles against the legends of the game, his grand slam titles, and the secrets to a world class tennis serve. I previously interviewed Johan on one of my tennis summits and wanted to bring our conversation to the podcast so that you could learn how to improve your game from a grand slam champ. Johan reached an all-time high ranking of Number 7 in the world on the ATP Tour. He won two Australian Opens, was a semi-finalist at the US Open, reached the semi-finals at the French Open and the quarterfinals of Wimbledon. In total, Johan won 14 professional singles and 8 doubles titles during his illustrious career. Johan's most memorable wins include victories over Andre Agassi, Jimmy Connors, John McEnroe and Bjorn Borg. He is also the founder of Johan Kriek Tennis Academy at PGA National Resort in Palm Beach Gardens, Florida. I really hope you enjoy my interview with Johan! Let us know what you think about this episode in the comments below!